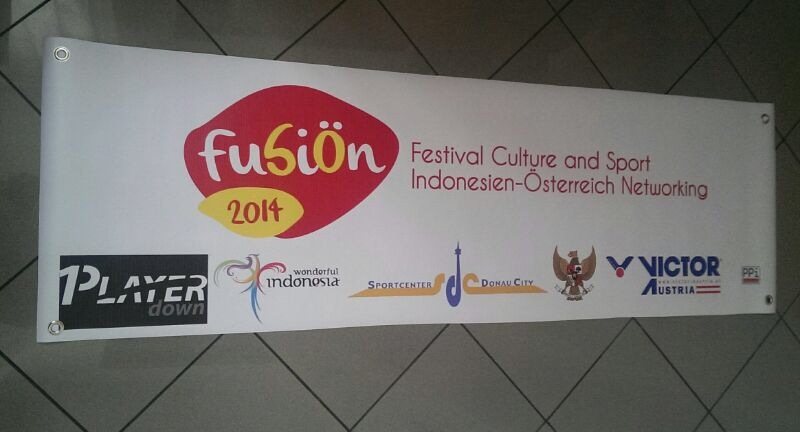 This Friday 30th May PPI Austria (The Austrian Indonesian Society) is putting on a cultural and sporting event in Vienna called Fusiön 2014. It promises to be a fantastic two days of new people getting to know each other and the Indonesian culture. One Player Down as the Sports Socializing Network is happy to be working with Fusiön 2014 supporting them by hosting their sporting events on the One Player Down website. The principles behind the Fusiön 2014 cultural event are core to what we believe at One Player Down, sport is a great way to integrate, the language on the sports field is sweat, hard work and enjoyment, no need for Google translate for that. The events will be held at the Sportcenter Donau City, Arbeiterstrandbadstraße 128, 1220 Vienna on Friday starting at 10am and on Saturday at 9am. Was ist ein Sports Socializing Network? Eine der Fragen, die uns am häufigsten gestellt wird, ist: „Was ist ein Sports Socializing Network eigentlich genau?“. Und weiter: „Wie unterscheidet es sich von einem Social Network, Sports Network oder einem Sport Social Network?“ Obwohl es Parallelen und Ähnlichkeiten zwischen den einzelnen Plattformen gibt, sind doch große Unterschiede zum Sports Socializing Network festzustellen. Allen voran möchte ich die erwähnten anderen drei Networks definieren. Auch bekannt als Facebook, Twitter, Snapchat, … . Hier bleibst du mit deinen Freunden und Bekannten in Kontakt, und erfährst, was sie gerade machen oder denken – sei es Kinder bekommen, in eine Bar gehen, ein neues Hobby beginnen, sporteln, eine Mannschaft unterstützen, neue Firmen „liken“… die Liste ist endlos. Die Tätigkeit auf einem Social Network ist zu 90% eine eher passive Angelegenheit, aber super um am Laufenden zu bleiben mit deinen Kontakten. Ein typisches Sports Network ist z.B. ESPN aus den USA. Angeboten werden in der Regel Übertragungen von und Informationen zu Spielen und großen Sportveranstaltungen auf der ganzen Welt. Sky Sports, Eurosports; Laola1 usw. fallen ebenfalls in diese Kategorie, weil sie mehr oder weniger das gleiche, nur in einem anderen Akzent bzw. einer anderen Sprache anbieten. Die Tätigkeit in dieser Art von „Network“ ist grundsätzlich passiv. Sportslobster, PlayUp und auch Teamtalk kann man als Sports Social Network definieren. Und obwohl diese Plattformen super sind und auch vom One Player Down Team genutzt werden, sind sie doch primär auf den User hinter dem Computerbildschirm zugeschnitten, und nicht für Leute gemacht, die eigentlich aktiv Sport betreiben wollen –wie ihr! Also wieder einmal handelt es sich um eine Plattform für passive Tätigkeiten: Teams unterstützen, mit Fans über deine Lieblings-Mannschaft oder -Sportart diskutieren usw. : Es handelt sich hier um eine Art Hybrid zwischen Social Network und Sport Network. Es gibt nur eines auf der ganzen Welt und – Du hast es erraten! – du liest gerade den Blog dieses one-and-only Sports Socializing Network: One Player Down. Wir sind keine Plattform für die passiven Tastaturhelden oder konventionellen Sportfans; bei uns geht’s um die „Movers und Shakers“, die Leute, die aufstehen und mitspielen und dem Ruf folgen: „Get in the Game!“ Wir sind die Plattform, bei der Schwitzen auf dem Programm steht; wir helfen dir, neue Leute und Spieler zu finden, aktiv und fit zu bleiben und Spiele/Teams/Ligen mit minimalem Aufwand zu organisieren. 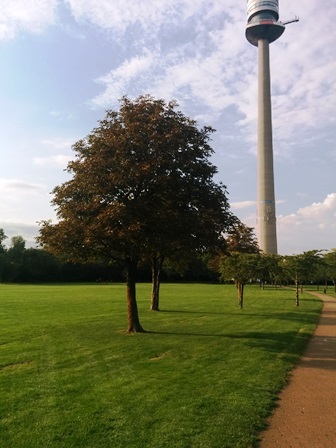 Ein Fan zu sein ist super, aber selbst zu spielen …. das ist einfach besser! Können ist kein Thema, Mitmachen lautet die Devise! Also, worauf wartest du noch? Get in the Game! The progress from the One Player Down network is moving forward at a great pace. New features, more users and now the backing from the Expat Center Vienna as well. If you are an expat and have not taken part in one of their events or are not a club member, it is a great service to use and it will help you enjoy your time in Vienna even more with great support networks and insider tips. Their new idea is to start using sports to help people socialize and integrate, two of One Player Down’s core principles. They have started a running group and in doing so, have invited the group to use the One Player Down platform. 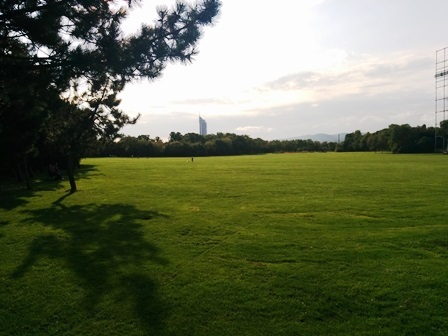 The running group is likely to be just the beginning of sport groups through the Expat Center Vienna. So if you are looking to meet new people or try new sports, just sign up today and Get in the Game. Fitness Friday – Too busy to play…Really! So, the often used excuse, other things get in the way and sport becomes less possible to do. While filing tax returns, looking for pensions, and then just letting of some steam and watching your favorite show are all valid things to do with your time, so are sports and socializing. There are many ways to sneak a quick bit of fitness into our day, cycle to work, take the stairs or get off a stop early and walk but these are just to help your fitness, and are not social in and of themselves. These belong to the “sneak in a workout” category and there are many types and they are very good at helping health and stress levels. We are talking about sports that help you settle into a new area, make new friends and socialize in general. These help not only your fitness but can help you be happy in even more aspects of your life, so it is more important than you think to make the time. Here is a scenario that we have all been through before, moved to a city, started a new job, looking to expand your social circle? These are all things that can be made easier through using sport as a socialization tool. It can be compared to a first date when you decide to go to a movie to take the pressure off having to find something in common to talk about. With meeting or integrating with new people though sport, you have already found the common ground, so you have saved some of the precious time you didn’t think you had. Talking about time, this takes us back to the One Player Down platform, wow look at how effortless that was! We are doing our best to take care of the more boring side of sport and socializing for you, so you can spend that time, you know the stuff say you don’t have, actually playing. So what are you waiting for it is time to Get in the Game and register at www.oneplayerdown.com to help us create the best and only Sports Socializing Network for you.